Sevenberry There are 27 products. 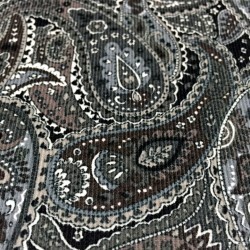 Japanese fabric from Sevenberry. Printed square cotton with japanese flowers on black background. 100% cotton Width 108/110 cm Wash 30°c in washing machine with similar colors No dry cleaning Do not bleach Dip before the 1st use Warning, this cutting is 100 cm. 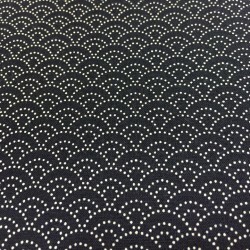 Japanese fabric from Sevenberry. 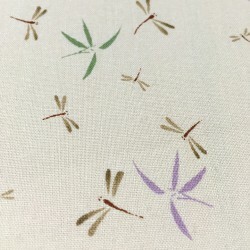 Printed sheeting cotton with dragonflies on cream background. 100% cotton Width 110 cm Wash 30°c in washing machine with similar colors No dry cleaning Do not bleach Dip before the 1st use Warning, this cutting is 100 cm. 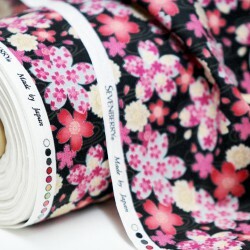 Japanese fabric from Sevenberry. Printed broad cotton with small flowers on white background. 100% cotton Width 112 cm Wash 30°c in washing machine with similar colors No dry cleaning Do not bleach Dip before the 1st use Warning, this cutting is 100 cm. 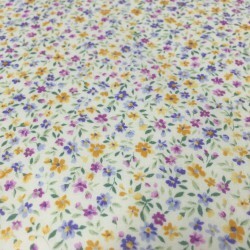 Japanese fabric from Sevenberry. 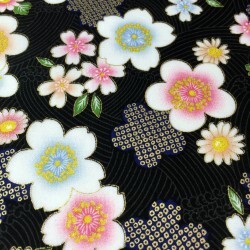 Printed square cotton with small sakura multicolored flowers on black background. 100% cotton Width 106/108 cm Wash 30°c in washing machine with similar colors No dry cleaning Do not bleach Dip before the 1st use Warning, this cutting is 100 cm. Japanese fabric from Sevenberry. Printed cambric cotton with small multicolored flowers on white background. 100% cotton Width 110/112 cm Wash 30°c in washing machine with similar colors No dry cleaning Do not bleach Dip before the 1st use Warning, this cutting is 100cm. 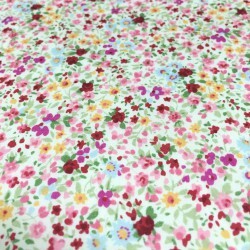 Japanese fabric from Sevenberry. Printed cambric cotton with small multicolored flowers on white background. 100% cotton Width 110/112 cm Wash 30°c in washing machine with similar colors No dry cleaning Do not bleach Dip before the 1st use Warning, this cutting is 200 cm. 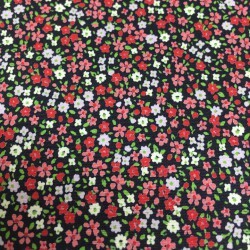 Japanese fabric from Sevenberry. Printed cotton with small multicolored flowers on white background. 100% cotton Width 112 cm Wash 30°c in washing machine with similar colors No dry cleaning Do not bleach Dip before the 1st use Warning, this cutting is 100 cm. Japanese fabric from Sevenberry. 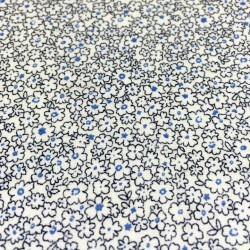 Printed cotton with small pink flowers on navy blue background. 100% cotton Width 112 cm Wash 30°c in washing machine with similar colors No dry cleaning Do not bleach Dip before the 1st use Warning, this cutting is 100 cm. Japanese fabric from Sevenberry. 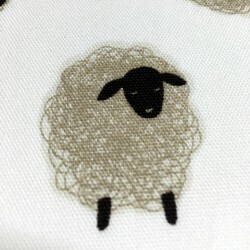 Printed Oxford cotton with sheep on white background. 100% cotton Width 112 cm Wash 30°c in washing machine with similar colors No dry cleaning Do not bleach Dip before the 1st use Warning, this cutting is 146 cm.